Guwahati: So it was his last piece of ‘art’ as the poet himself once wrote “Mrityuto eta shilpo, jibonor kothin shilot kota nirlobh bhaskarjya” (Death too is an art, an unimpassioned sculpture on life’s granite). 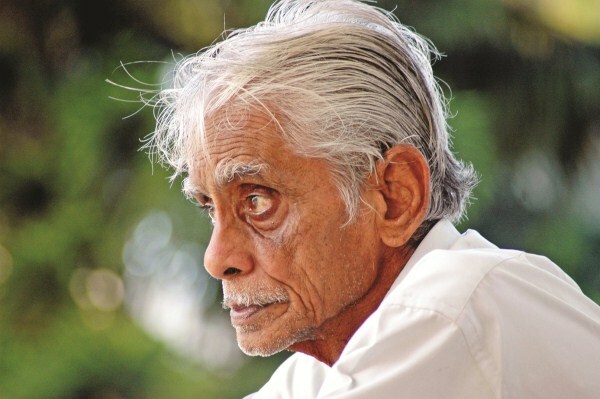 Hiren Bhattacharyya, who was also popularly known as Hiruda among his innumerable fans and admirers, breathed his last at Dispur Hospitals around 11.30 am on Wednesday leaving thousands in tears. The 80-year-old poet had been undergoing treatment at the hospital since June 14 for his lung and kidneyrelated illness and since then his health continued to deteriorate in spite of the efforts of the doctors and the prayers of his admirers. Even, two Kolkata-based experts came for the treatment of the poet, besides the doctors of the Dispur Hospitals and a special team of the Gauhati Medical College and Hospital (GMCH). But all their efforts failed and the poet had to be put on ventilation support as his health continued to deteriorate. His brains stopped working to some extent besides infections in the lung and the kidneys. Finally, on July 2 with due approval from his family members after his condition did not improve the ventilation support was removed and doctors gave up all hopes. The ailing artiste was being treated under the supervision of Dr Brajendra Lahkar, consultant, internal medicines. The end came quietly at 11.30 am on Wednesday even as he was surrounded by his family members — his wife Parul Bhattacharyya, his daughter Shanta and his younger brother Dwijen Bhattacharyya. According to the attending doctors, Hiruda was suffering from complicated urinary tract infection (UTI), shock with acute kidney injury, and aspiration pneumonia with acute respiratory distress syndrome, large left Middle Cerebral Artery infarction and embolic COAD with AE. According to the doctors, H iruda also had Ischemic S trokes (clots) as a result of a n obstruction within a blood vessel supplying blood to the b rain. He was also suffering from Urosepsis — a systemic blood infection that develops when a urinary tract infection pathogen enters the bloodstream and causes severe Hyponatremia, characterised by a metabolic condition in which there is not enough sodium (salt) in the body fluids outside the cells. The poet, who was born on J uly 8 in 1932 at Jorhat, before roaming at various places in the state influenced the whole generation by his magical yet simple words. As soon as the news of his demise spread, people from all sections of the society rushed to his residence ‘Sneha-Tirtha’ to pay their last respect to the man who always led a simple life and always voiced the pain and agony of t he downtrodden of the society through his poetry. “He is definitely one of the best poets I have ever read. I have read most of his works since very early days and I liked a lot and it influenced me. 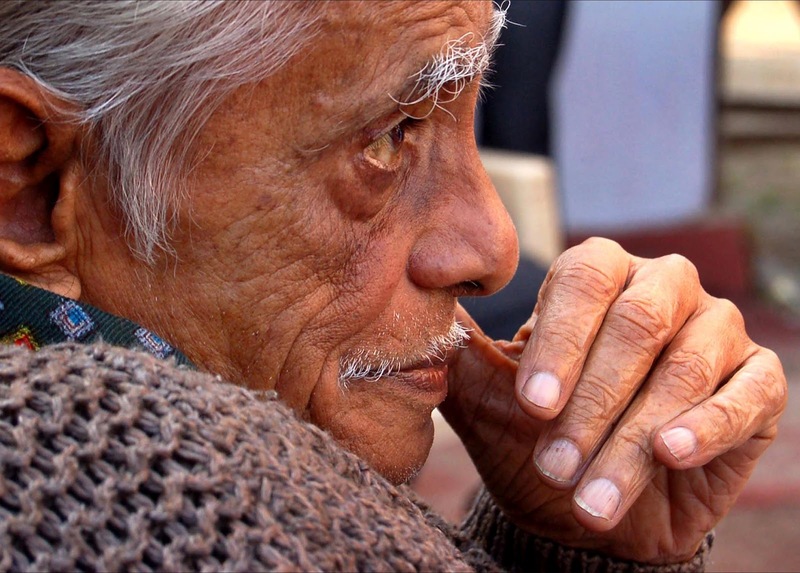 It’s a huge loss to our society,” Nilamoni Sen Deka told Seven Sisters Post as he rushed to the poet’s residence after he got to know about the poet’s death. Hiruda, who was the second of the 11 siblings of Tirthanath and Snehlata Bhattacharyya, shifted to Guwahati in 1958 along with his family. But his experience as a child, when he travelled to places like Tezpur, Mangaldai, Golaghat, Nagaon and others drew him towards nature and people. And that continued to inspire him to write poetry. 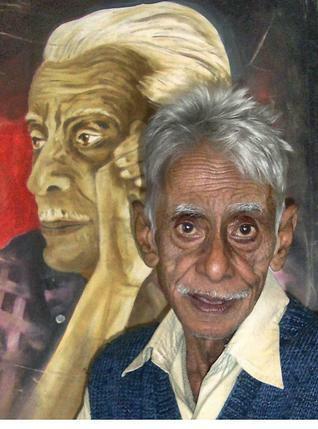 The poet, who did his graduation from B Borooah College, was also known and respected widely for his patriotic poems like ‘Desh Bulile Aadesh Naalage. Mur tumruli tejot togbogai uthe esho eta ranuwa ghora’ (We do not need orders to serve the country. 101 horses are running in my blood) “We are sad at his death. His poems taught us the lesson of patriotism and we hope that the messages he conveyed through his words would be carried forward by all of us,” said All Assam Students’ Union (Aasu) advisor Samujjal Bhattacharyya at his residence. His first poem ‘Nimantran’ was published in 1954 at Probah magazine and his first compilation of poems was Roudra Kamona (1964). 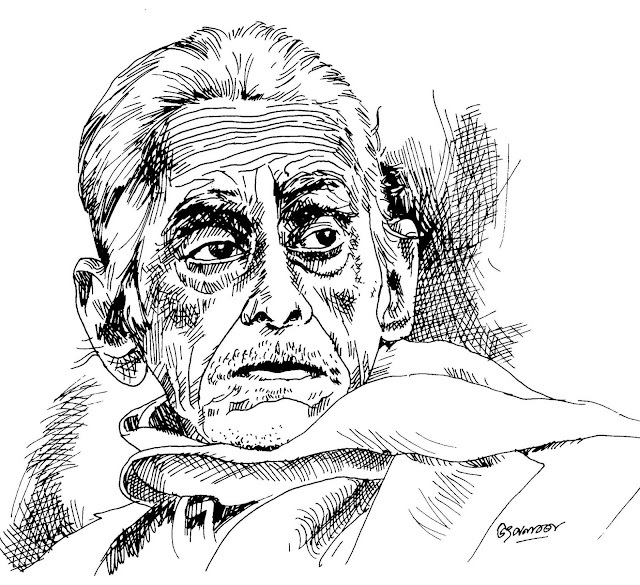 Some of his published anthologies of poetry include Mor Desh Mor Premor Kabita (1972), Bibhinna Dinar Kabita (1974), Kabitar Rode ( 1976), Tomar Gaan (1976), Sugandhi Pokhila (selected poems, 1981), Saichar Pathar Manuh (collected poems 1991). He also contributed to the children literature — ‘Lara Dhemali’ (1991), ‘Akau Dhemali’ (1991) and ‘Roi Roi Dhemali’ (2008). His works were also translated into Bangla and English. Jonaki Mono Onanya (1991) and Sosher Math Manux aar Onanya were translated in Bangla while Ancient Gongs in English. He also edited three magazines — Chitraban, Monon, Antarik in between. His funeral would take place at the Nabagraha cremation ground on Thursday in the presence of his fans and admirers. “We wanted to do the last rites today itself but due to the demand of his fans from various parts of the state and elsewhere we are doing it on Thursday. Zubeen Garg, who was like his friend and disciple, also requested us as he will be coming from Mumbai on Thursday,” said his brother Dwijen. The state government expressed its deep condolences at the demise of the literary icon and declared a half holiday on Wednesday. “He was one of the brightest stars of our society. His delicately worked and kept on winning hearts of thousands. His magical words created a new chapter in Assamese literature. It’s a great loss,” chief minister Tarun Gogoi said in his message.